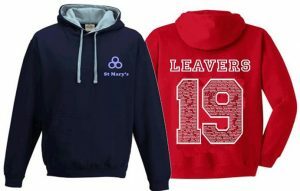 We supply a large range of Hoodies, T-Shirts and Polo’s. They can be customised with printing on the front, back and sleeves. We can also offer a range of designs for trips or tours! Includes a 1 colour printed design front and back of your choice! As well as fulfilling orders of a single design we can also add individual names and numbers to each item. In-house design for special requests – tour designs too! We sell hoodies directly to schools, PTAs, clubs, Colleges and Universities. We’ve a minimum order size of 25 hoodies – this ensures we can keep our prices low without compromising quality.